Faith to Action Network is a strong faith-based voice in policy consultations. Faith organisations exert influence as strong advocates vis-à-vis authorities, impacting legal, health and education systems. Winning the support of faith leaders and faith organisations can have a snowball effect on policies in many sectors. Faith to Action Network creates opportunities to engage in policy discussions at international, regional level, national and sub-national level. We broker partnerships and alliances between unlikely parties – interfaith, intra-faith, donors, governments, secular civil society organizations and private sector. Many faith resolutions and recommendations are powerful mandates and entry points to transform decision makers’ attitudes and weigh in on policy making processes. 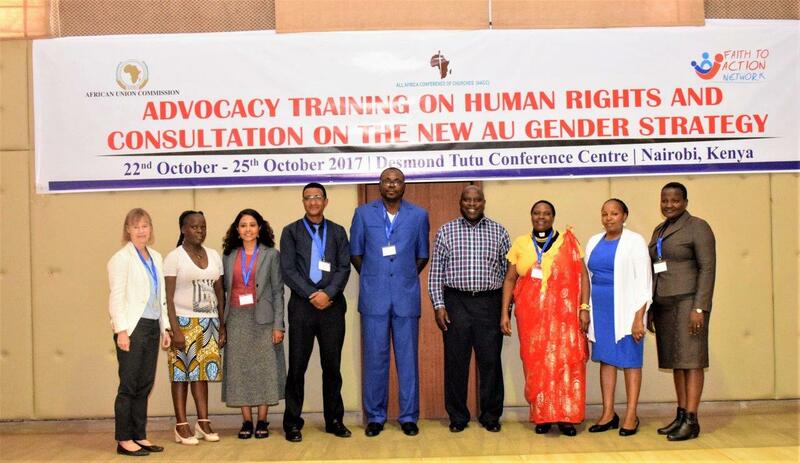 For example, in 2017, Action by Churches Together Alliance adopted a revised global gender policy. In 2017, at its 12th assembly, Lutheran World Federation unanimously passed resolutions promoting gender justice to ensure the elimination of sexual and gender-based violence. 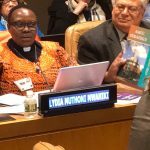 At its Lusaka Conference, the Anglican Church in Africa’s Standing Committee recommended to promoting family planning within its structures. In 2015, 63 imams in Kenya’s Kilifi, Lamu and Mombasa counties adopted a 7-point commitment in support of Child Spacing. Faith to Action Network develops timely and context-specific analysis and recommendations to help advocates and decision makers make informed decisions. These are careful communication and advocacy briefs, making reference to religious texts and medical evidence, and “re-packaging” sensitive terminology in faith-acceptable language. Complementing existing materials, these briefs are developed in collaboration with recognized theologians and are religion-specific. Faith to Action Network provides proactive and on-demand technical assistance to decision makers when drafting new policies and programs, organizing national and international conferences. This activity, can be formal by participating or leading formal consultations, or when preparing for statutory meetings and technical working groups. It can be informal when parliamentarians ask for advice or for technical input on policy documents. Enabling constructive dialogue is paramount. Faith to Action Network organizes dialogues between faith leaders and organizations, media, government and development stakeholders to create consensus on different issues. Faith to Action Network facilitates participation of faith leaders and faith organisations in policy consultations. It encourages decision makers at international, regional and national level to include faith organisations into their national delegations to international policy making events and seeks san observer status in statutory planning meetings. 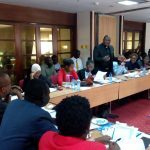 Faith to Action Network is highly skilled and effective in securing space for faith organisations on their national delegations, and observer status during United Nations, African Union and East African Community summits and other events.